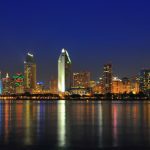 San Diego is a hub of CleanTech innovation, which was demonstrated by the exciting Green Pitch Slam event held yesterday! We are very excited to present the top 3 winners of this extremely close competition. These contestants put together an app that will help solve problems with traffic, parking, public safety, urban planning, and environmental challenges. Contestants were given gadgets, hardware, sensors, etc to create something extraordinary. 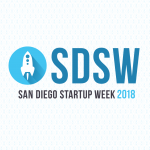 Winners of the Week 2017 Announcing San Diego Startup Week 2018!